UPDATE: Rdio API has now been shut down. Thank you all for stopping by and we hope we've given a helping hand for your music's smooth sailing. If you're reading this, you've probably heard the news. Rdio has been acquired by Pandora. It will shut down in a few weeks. As an Rdio user and totally in love with this beautifully crafted streaming service, I felt obligated to do something about it. Also, I always wanted to play with the Rdio API but never had the right motive. 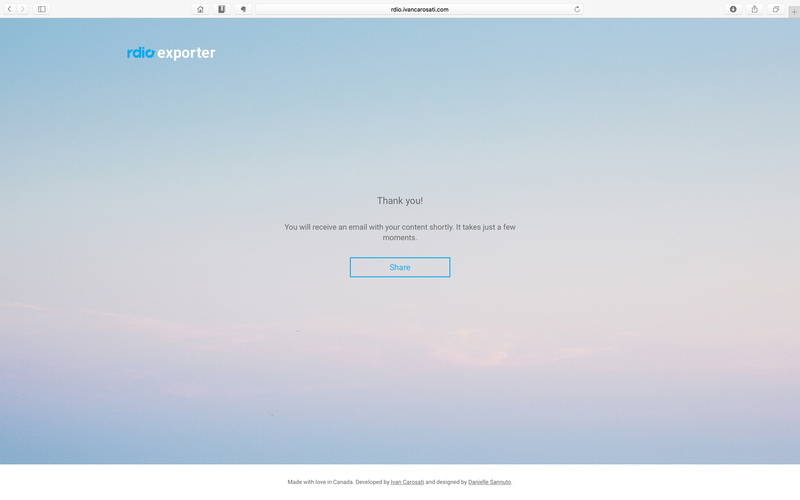 I started building an Rdio exporter after I first heard the news because I wanted to be able to export all my data while waiting to see what Rdio would come up with. Also I wanted to make sure that it was gonna be formatted not only readable by a machine, but also by me. You know.. just in case I decided to reimport all my music manually to Spotify! It took a while to get it ready for prime time. A big thanks you goes to Danielle that came up with design and user flow! 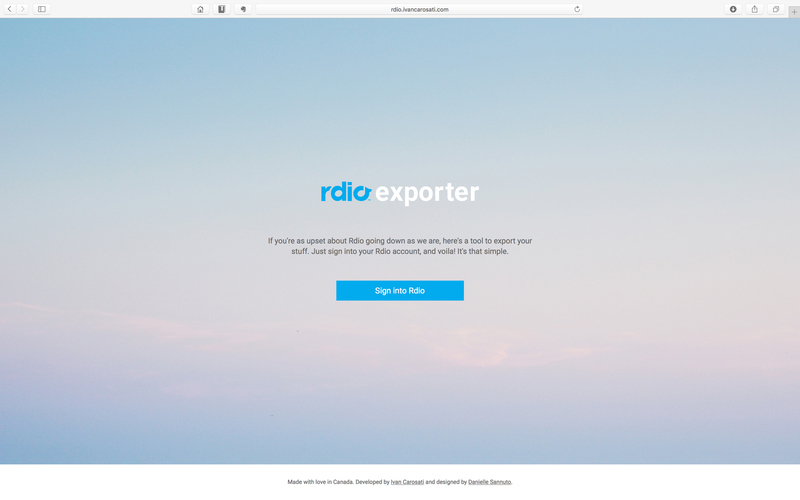 This tool allow you to sign in with your Rdio account and export your entire collection, playlists and anything you've ever favourited. 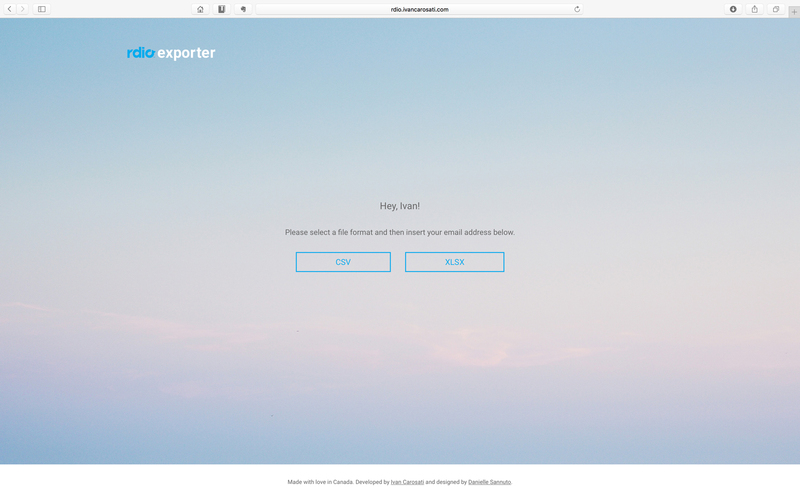 You can chooce to export in .csv or .xlsx. 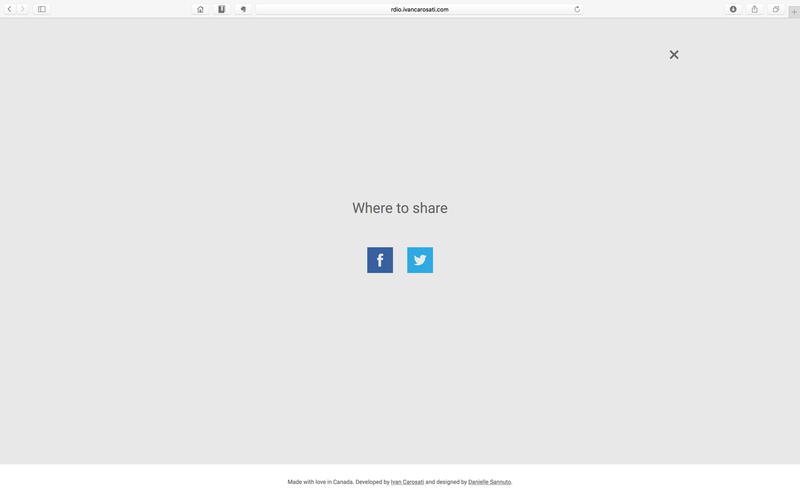 If you're looking to keep a reference for you of your music, .xlsx is gonna be better. 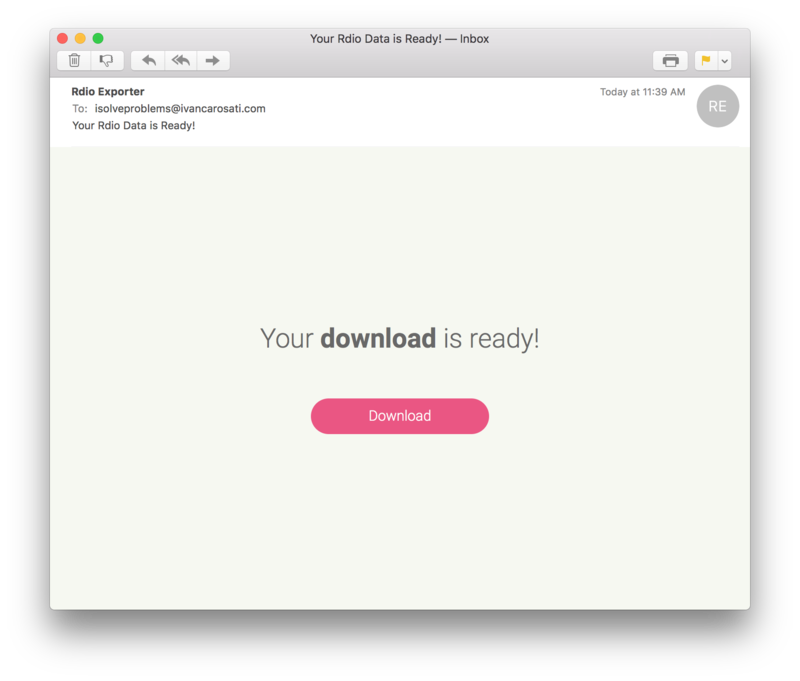 Once your data is ready, I'll email you a .zip file with everything in it. Click here for an example! Yes, that's my Rdio account..
You can see how it works below. I would love for you to use it and let me know what you think. If you have any question shoot me a tweet or comment below.